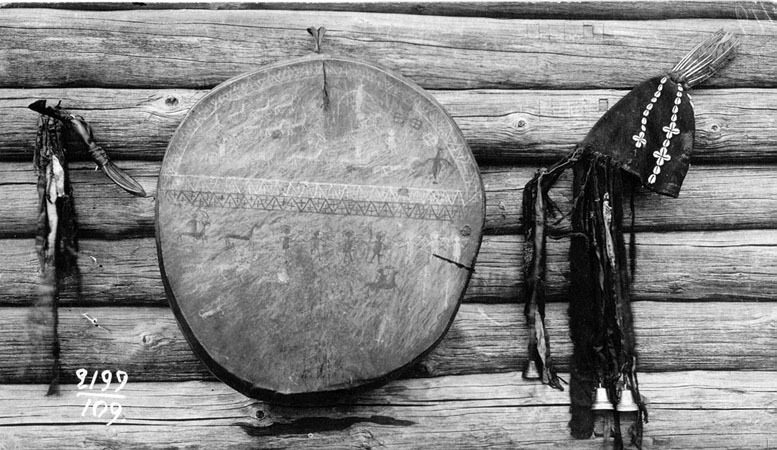 Shamanism is type of religious mentality of the primitive people based on faith in spirits inhabiting all kinds of the universe things and meddling in people's life. 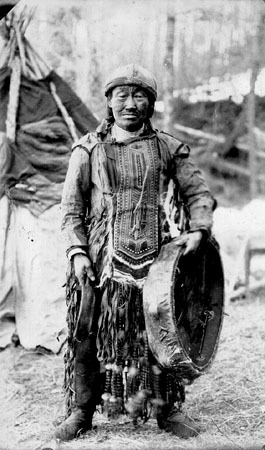 The main figure of shamanism is shaman - the first priest in human history, mediator between the world of peoples and world of spirits. 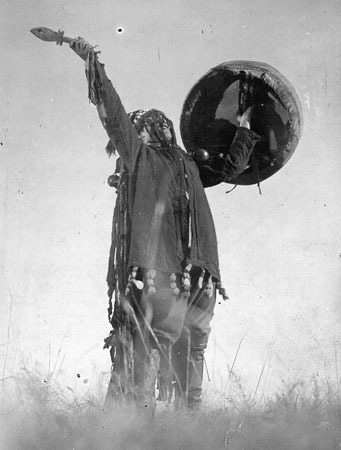 During the spesial rite - "kamlaniye" shaman went into ecstasies and was carried away into another world where he could contact with spirits and got help from them for his own tribes. Shamanism arised already in stone age and on early steps of religious mentality development it was widely spread among humanity. 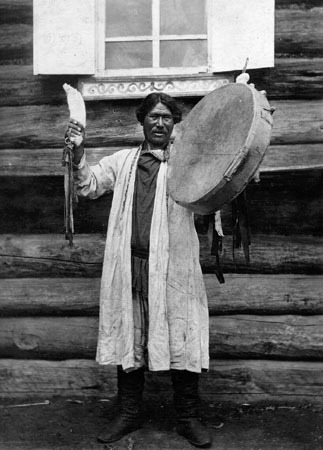 The word "shaman" in translation from evenk language means "excited, frenzied man". 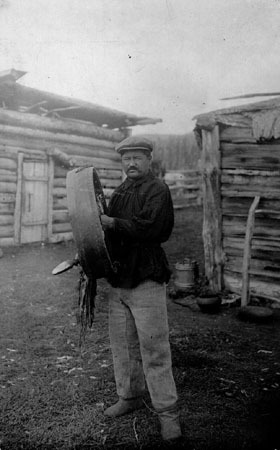 It was put in ethnography by russian researchers of Siberia in XVIII century. 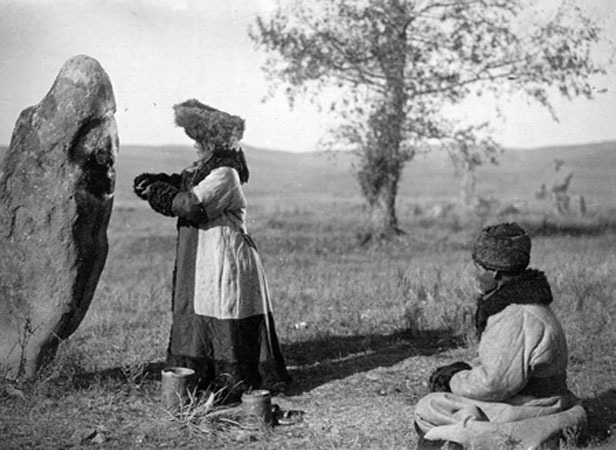 After the Soviet Power was established in Siberia the big antireligious company was began. 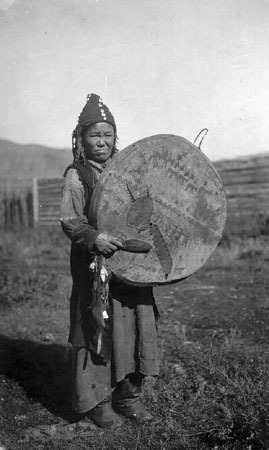 The Shamans were prohibited to exercise their ritual. Their atributes and holy things were destroyed. 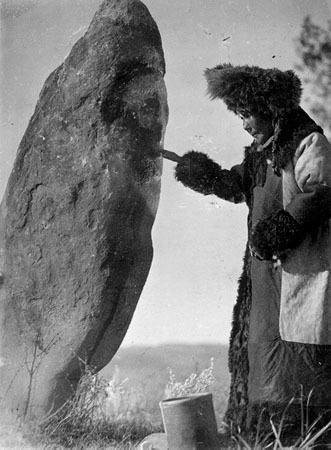 As the result of the late of 30th the active shaman practice was interrupted. 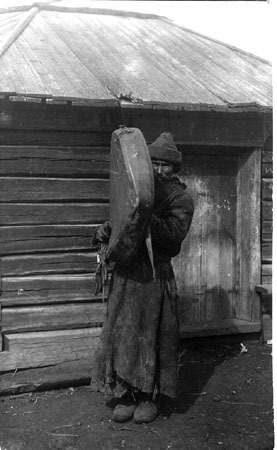 Right now the last great Siberian shaman could be seen on the old photos been made during ethnographic expeditions of 20-th, 30-th.